Image above: Yellowstone National Park, the place of a trophic cascade involving wolves. 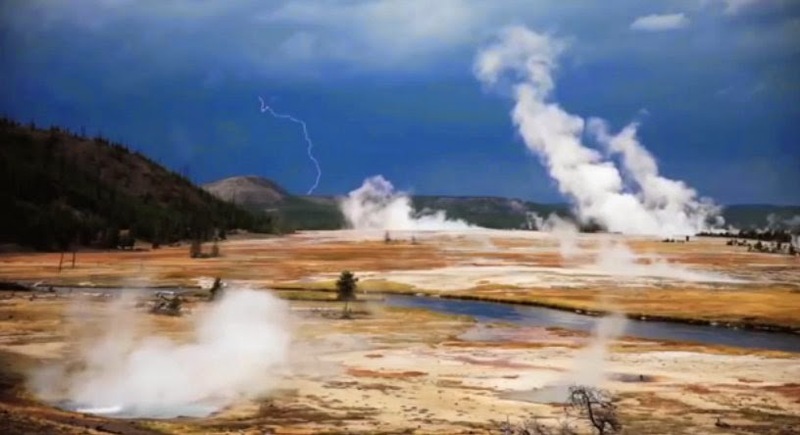 This amazing short YouTube on the re-introduction of wolves to the Yellowstone National Park is a fascinating example of the importance of the Interconnection concept in Geography. "The concept of interconnection emphasises that no object of geographical study can be viewed in isolation." In particular the Australian Curriculum: Geography involves holistic thinking that involves studying the interconnections between phenomena and processes within and between places. The clip outlines how the re-introduction of wolves into the park has not only made massive positive changes to habitats and animal life but also changed the nature of the rivers in the park though a process called trophic cascading. A great positive biogeography story based on interconnection and interdependency.